This paper reports findings from a two-year multi-site, multi-method naturalistic research project on the use of multimedia case instruction to prepare teachers for teaching students with emotional/behavioral disorders. Participants were 251 teacher education students across five universities. Independent variables included testing condition (pre versus post), course type, course content, prior teaching experience, type of instructional implementation used in case delivery, type of case discussions, and time working within the cases. Dependent variables included quality of content entered into concept maps, and the breadth of concept (nodes) and interconnectedness of concept (links) on concept maps. There were significant main effects of pre to post conceptual change for all dependent measures. Qualitative data provide a rich understanding of the study findings. Fitzgerald, G., Koury, K., Mitchem, K., Hollingsead, C., Miller, K., Park, M.K. & Tsai, H.H. (2009). Implementing Case-Based Instruction in Higher Education Through Technology: What Works Best?. Journal of Technology and Teacher Education, 17 (1), 31-63. Waynesville, NC USA: Society for Information Technology & Teacher Education. Retrieved April 18, 2019 from https://www.learntechlib.org/primary/p/26251/. Anderson, P., & Baker, B. (1999). A case-based curriculum approach to special education teacher preparation. Journal of Teacher Education and Special Education, 22, 188-192. Ayersman, D. (1996). Reviewing the research on hypermedia-based learning. Journal of Research on Computing in Education, 28, 500-525. Baker, E., & Wedman, J. (2000-2003). Production of the digital literacy por tfolio series. (Improvement of Post-Secondary education Project #P116b0011494). Washington, DC: united States Department of education. Barab, S., Dodge, T., Thomas, M., Jackson, C., & Tuzun, H. (2007). Our designs and the social agendas they carry. Journal of the Learning Sciences, 16, 263-305. Barab, S., & Duffy, T. (2000). From practice fields to communities of practice. In D. Jonassen & S. Land (eds. ), Theoretical foundations of learning environments (pp. 25-55). Mahwah, NJ: lawrence erlbaum. Boling, E. C. (2007). Linking technology, learning, and stories: Implications from research on hypermedia video-cases. Teaching and Teacher Education, 23, 189-200. Brown, A. (1992). Design experiments: Theoretical and methodological challenges in creating complex interventions in classroom settings. The Journal of the Learning Sciences, 2, 141-178. Cochran-Smith, M., & Lytle, S. (1999). Relationships of knowledge and practice: Teacher learning in communities. Review of Research, 24, 249-305. Elksnin, L. (1998). Use of the case method of instruction in special education teacher preparation programs: A preliminary investigation. Teacher Education and Special Education, 21, 95-100. Elksnin, L. (2001). Implementing the case method of instruction in special education teacher preparation programs. Teacher Education and Special Education, 24, 95-107. Ferdig, R., & Roehler, L. (2003). Student uptake in electronic discussion: examining online discourse in literacy preservice classrooms. Journal of Research on Technology in Education, 36, 119-136. Fitzgerald, G., & Semrau, L. (1993-1997). An interactive videodisc program to enhance teacher problem solving skills for behavior disorders. (Steppingstones Project #H029K30210). Washington, DC: united States Department of education. Fitzgerald, G., & Semrau, L. (1998-2000). Vir tual resource center in behavioral disorders. (Steppingstones Project #H029K70089). Washington DC: united States Department of education. Fitzgerald, G., Semrau, L., & Deasy, G. (1997). Interactive multimedia training materials for assessment of students with behavioral problems: Design and outcomes. 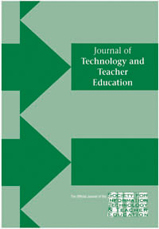 Journal of Technology and Teacher Education, 5, 203-222. Fitzgerald, G., Wilson, B., & Semrau, L. (1997). An interactive multimedia program to enhance teacher problem-solving skills based on cognitive flexibility theory: Design and outcomes. Journal of Educational Multimedia and Hypermedia, 6, 47-76. Gartland, M., & Fields, T. (2004). Case method learning: online exploration and collaboration for multicultural education. Multiple Perspectives, 6, 30-35. Goor, M., & Santos, K. (2002). To think like a teacher : Cases for special education interns and novice teachers. Boston: Allyn & Bacon. Kinzer, C. K. (2004, April). Case technologies to enhance literacy learning: An overview and description of CTELL cases and project implementation. Levin, B., He, Y., & Robbins, H. (2006). Comparative analysis of preservice teachers’ reflective thinking in synchronous versus asynchronous online case discussions. Journal of Technology and Teacher Education, 14, 439-460. Mclinden, M., mcCall, S., Hinton, D., Weston, A., & Douglas, G. (2006). Developing online problem-based resources for the professional development of teachers of children with visual impairment. Open Learning, 21, 237-251. McNaughton, D., Hall, T., & Maccini, P. (2001). Case-based instruction in special education teacher preparation: Practices and concerns of teacher educator/researchers. Teacher Education and Special Education, 24, 84-94. Merseth, K., & Lacey, C. (1993). Weaving stronger fabric: The pedagogical promise of hypermedia and case methods in teacher education. Teaching & Teacher Education, 9, 283-299. National research Council. (2000). In J.D. Bransford, A.L. Brown, & R.R. Cocking (eds. ), How people learn: Brain, mind, experience, and school. Washington, DC: National Academy Press. Patton, M. (2002). Qualitative research & Evaluation methods (3rd ed.). Thousand oaks, CA: Sage. Richards, L. (1999). Using NVivo in qualitative research. Thousand oaks, CA: Sage. Senge, P. (1994). The fifth discipline fieldbook: Strategies and tools for building a learning organization. New York: Doubleday. Shulman, L. S. (1992). Toward a pedagogy of cases. In J. H. Shulman (ed. ), Using case methods in teacher education (pp. 1-30). New York: Teachers College Press. Strauss, A. L., & Corbin, J. (1998). Basics of qualitative research: Techniques and procedures for developing grounded theory (2nd ed.) Thousand oaks, CA: Sage. Utley, B. (2006). Effects of situated learning on knowledge gain of instructional strategies by students in a graduate level course. Teacher Education and Special Education, 29, 69-82. Wilson, S., & Berne, J. (1999). Teacher learning and the acquisition of professional knowledge: An examination of research on contemporary professional development. Review of Research, 24, 173-209.